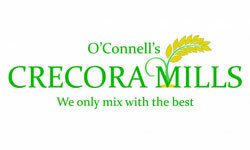 Crecora Mills manufacture a wide range of products to specification for the animal industry. They make quality feeds for Beef Cattle, Dairy Cattle, Calves, Weanlings, Heifers, Lambs, Ewes and Horses. The products generally come in the form of Coarse Ration or Blends as some call them, or in Pellet (nut) form. Coarse Ration is a mix of various ingredients as they come in from the suppliers. A broad range of farm feed and animal feeds to the dairy, beef, calf, sheep, pig and poultry sectors. 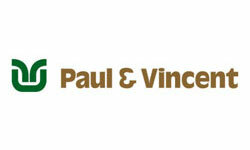 The name of Paul & Vincent is synonymous with quality and excellence, the company works tirelessly through its customer oriented workforce to preserve and protect its reputation, in delivering cost effective feeding solutions to the ruminant, pig and poultry sectors by innovation in feed milling and nutrition. A broad range of animal feeds to the dairy, beef, calf, sheep sectors. 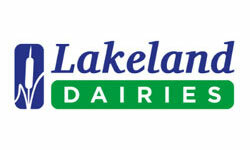 Lakeland Dairies Agribusiness operates a state of the art Animal Feed Mill located in Lough Egish, Co. Monaghan. This milling facility is approved by the Department of Agriculture, Food and the Marine and is also accredited to the U.F.A.S. quality standard. 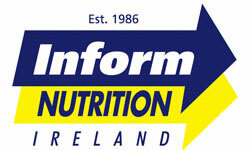 Inform Nutrition which were established in 1986 is Irelands leading manufacturer of animal nutritional products across the whole range of species, including Cattle, Calves, Sheep, Goats, Pigs, Poultry, Horses, racing Camels and the Pet nutrition sector. – Pastes in syringes from 15ml – 320ml for oral dosing.